Experience the National Film Board of Canada’s stop-motion animation workshop online. This web module will teach you how to produce stop-motion animation videos and introduce you to NFB stop-motion animated films. It offers instructional videos and step-by-step lessons. The 7 lessons have been designed for an Intermediate (Grade 7–9) Art Curriculum. However, they can be easily modified to suit other age levels and subject areas. If you want to use stop-motion animation in your classroom, start by clicking on the StopMoStudio Overview. Read the Educator’s Strategy Guide first, which is a companion piece to the tutorial videos featured on this playlist, then work through the rest of the resources. Watch the tutorial clips (one, a couple, or all in one visit) then select a lesson plan related to what your students are studying in class. Next, familiarize yourself with Lessons 1–7 and the related activities. Stop-motion animation can be integrated across the curriculum in subjects as diverse as math, social studies and media literacy. We recommend introducing stop-motion animation as a learning activity or even as a tool for students to demonstrate their knowledge of a subject area. Why not collaborate with other teachers in your school to create an interdisciplinary learning activity? If you want to try your hand at stop-motion animation outside of a classroom context, we suggest you start by clicking on the NFB Instructional Videos. Then, if you would like to learn more about creating your own animations, explore Lessons 1–7, and complete any activities that interest you. Animation Resources will provide you with more useful tips, references and templates to round out your online workshop experience. 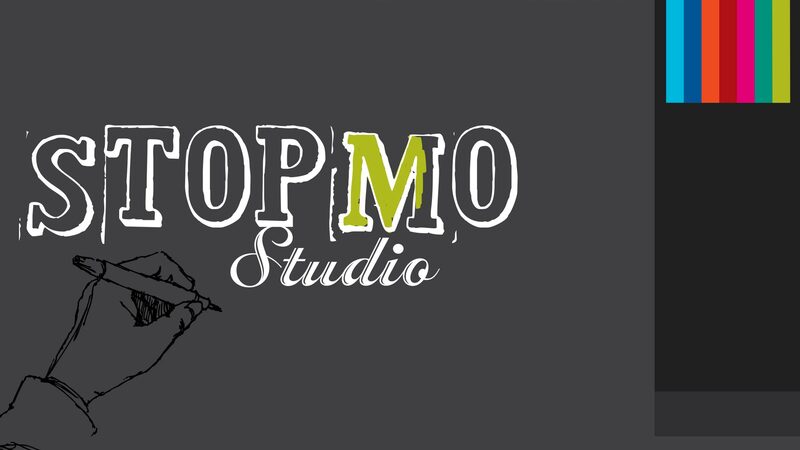 StopMoStudio was inspired by our ever-popular stop-motion animation workshops. Want to discover stop-motion in-person? You can participate in these unique workshops by visiting the NFB Education offices in Toronto or Montreal. Educators, to show NFB films or NFB Interactive projects that are online to your students, you require a subscription to CAMPUS. Your ministry of education or school board may have already purchased a subscription; to check and see if they have or to inquire about purchasing a subscription for you or your school, click here. A subscription to CAMPUS ensures that you have the public performance rights to share content from NFB.ca with an audience, including your students. Find out how stop-motion animation can be integrated into lessons in the classroom or learned for fun at home. There are many ways to create stop-motion films; these StopMoStudio workshop video tutorials will show you how to work with modelling clay and sets in both 2D and 3D—but the possibilities are endless. Who is Norman McLaren? Find out about this remarkable Canadian animator’s legacy and his pioneering techniques in the early years of the National Film Board of Canada’s animation studio. This clip will inform you of the basic equipment you’ll need to create your own stop-motion animated short. It covers technical equipment, software and user-friendly materials. It all starts here: In this clip you’ll learn about the fundamentals of animation so you can get experimenting. Whether you’re a younger student or a first-time animator, we encourage you to try all kinds of media and techniques—you’ll be amazed at what you can achieve. Flip it and watch your world come to life! Animation is based on the principles of recording small, incremental changes to an image, object or character to create the illusion of smooth and fluid motion. One way to illustrate these principles is to create your own flipbook or flip trick. All you need is paper and pencil. Films are anchored by a story, which often follows a deliberate plan. Filmmakers usually chart out the beginning, middle and end of a sequence of events, detailing the actions of their characters from scene to scene on a storyboard. This is a kind of map, displaying the arc and rhythm of a story. If you plan your story before you shoot, you will find you achieve the best results. Watch this clip to learn more about storyboarding on paper before you turn on the camera and yell “Action”! Thought your years of playing with plasticine were over? Watch this clip to learn how to mould perfect 3D characters, ready to bring your animated stories to life. All you need is basic modelling clay (or plasticine), which is oil-based and pliable, and your imagination. You’ve watched the basics of animation and understand rhythm and frame rates, storyboarding and the art of building your own characters and sets—now it’s time to bring it all together. This clip demonstrates how to shoot stop-motion animation using basic technical equipment to capture your story in motion. Extra tips for making your own stop-motion animation creations. This tutorial follows on from the first tutorial, StopMoStudio – Stop-Motion Animation Workshop, on the basics of stop-motion animation. In this short clip you can learn how to compose teams and set parameters in a classroom stop-motion workshop. This short clip provides more detailed guidelines on art materials, set design, props, decor and the creative process when working with simple 2D and 3D animation sets. Want to go deeper into the art of character construction for your stop-motion plasticine animation film? If you’ve already watched the first main clip on Creating Characters, you’ll find this one a useful extension. Learn all about topics such as optimum dimensions and supports. A step-by-step tutorial explaining what basic technical equipment you’ll need and how to use it to shoot your stop-motion animation film. There are many types of cameras, software programs and mobile devices or apps you can use. This clip suggests one possible set-up. Ever wondered how to make your characters fly or disappear? Learn simple tricks and tips to create different illusions.